Eye Services of Jackson Is Here For All Your Eye Care Needs! 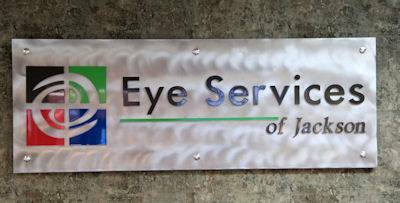 Welcome to our Eye Services of Jackson! Our eye doctor and eye care staff are here to care for all of your vision needs. We handle everything from adult and children’s eye exams and hard-to-fit contact lenses, to eye emergencies, treatment of eye diseases and co-management of eye surgery such as LASIK. Eye Services was established in 1985 by Kathryn Ring, a certified optician who believed in providing high quality eye care. In 1994 she was joined by Dr. Bricker Buseth, who shared her passion for providing customers with the best service and products available.